Comprehensive dentistry involves the diagnosis and treatment of general conditions affecting the teeth, gums, and jaw. Dr. Cole takes a comprehensive approach to dentistry because it enables him to catch problems early and utilize more conservative treatment plans. Early diagnosis also reduces your risk of needing more extensive—and often expensive—treatment in the future. Many of the things that we take for granted with natural teeth—including smiling, talking, and eating the foods we love—can all become easier again with restorative dentistry. 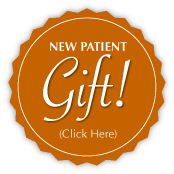 We offer a variety of restorative dental treatments that can help you get your smile back and better than ever. If you struggle with loose, uncomfortable dentures, mini dental implants could change your life. Mini dental implants provide extra support and stability for dentures, allowing you to enjoy your favorite foods and smile with confidence again. Because they’re smaller than conventional implants, mini dental implants can often be placed in just ONE visit! Dr. Cole is also able to restore conventional dental implants, which are an excellent way to replace one or more missing teeth. An attractive smile can enhance your self-esteem, boost your confidence, and help you make better first impressions. Even subtle treatments like teeth whitening and tooth-colored fillings can make a BIG difference in the health and appearance of your smile. Are you unhappy with the appearance of your smile but don’t want to spend two years in traditional braces? 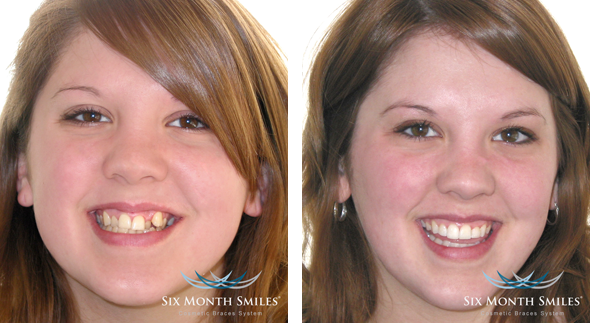 With Six Month Smiles®, you could have straight teeth before your next dental cleaning! Six Month Smiles Braces use clear or tooth-colored brackets and ultra-thin wires to move your teeth quickly, safely, and comfortably. They require fewer visits to our office than conventional braces, and the average treatment takes between 6 and 9 months. You deserve to love your smile. Gum disease is a serious problem among adults. According to the American Academy of Periodontology, gum disease is the number one cause of tooth loss in adults over the age of 35. If your gums feel tender, look red and swollen, or bleed every time you floss, you could be at risk for gum disease. Untreated gum disease has been linked to other serious health problems, so it’s important to keep your gums healthy with proper home care and biannual professional dental cleanings. Nitrous oxide, also known as laughing gas, is a colorless blend of oxygen and nitrous oxide gases with a pleasant, sweet smell and taste. Inhaling nitrous oxide creates a sense of well-being and relaxation, and it is used effectively to help individuals who experience anxiety or fear about dental treatment feel more at ease. Nitrous oxide increases your pain threshold and, when necessary, makes the administration of anesthetic injections more comfortable. It is also helpful for patients who have a strong gag reflex that interferes with dental treatment. 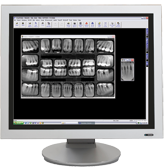 Like digital x-rays, digital photographs with our intraoral camera are a useful diagnostic and patient education tool. Through the use of a tiny camera attached to a hand-held wand we can show you incredibly clear pictures of your teeth and gums. These pictures not only enable us to identify problem areas like a cracked tooth or a broken filling, but we can visually guide you through your diagnosis and treatment options. You also get a much clearer picture of your teeth than what a hand held mirror can show you. The intraoral camera provides you with the opportunity to be a partner with us in keeping your mouth and smile healthy and strong!